Team Tyler Pipe Shows Up Big at the 2nd Annual Fresh 15 Run | McWane, Inc.
On Saturday, March 7th, over 30 Tyler Pipe & Tyler Union team members joined together on a very chilly morning to support the local community by participating in the second annual Fresh 15 Fun Run benefiting the Bethesda Health Clinic and The American Heart Association. Last year they had approximately 15 Tyler Pipe team members to register, so they were overjoyed to see that the numbers of those willing to participate had doubled. Tyler Pipe encourages participation by paying the registration fees for each team member and one guest. This year over $80,000 was raised to support a handful of charitable organizations that provide care and health services to residents in Smith County and surrounding counties. All in all it was a great experience and Tyler Pipe and Tyler Union were glad to be a part of over 3,000 people that participated that day. Congratulations, Team Tyler Pipe, and many thanks to each of you that participated! A special congrats to Ross and David for their race performances! 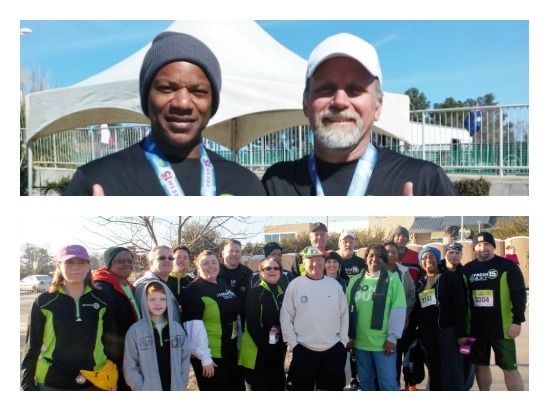 Posted on March 13, 2015, in Community Involvement & Giving and tagged community, Fresh 15 Fun Run, McWane, races, relay, running, Tyler Pipe, Tyler Pipe & Coupling, Tyler Union. Bookmark the permalink. Comments Off on Team Tyler Pipe Shows Up Big at the 2nd Annual Fresh 15 Run.